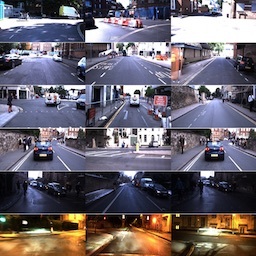 A method for transferring a vision-based lane following driving policy from simulation to operation on a rural road without any real-world labels. 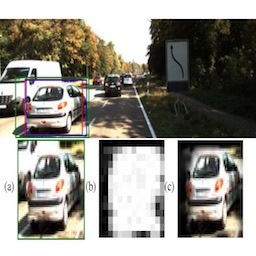 Our approach leverages recent advances in image-to-image translation to achieve domain transfer while jointly learning a single-camera control policy from simulation control labels. 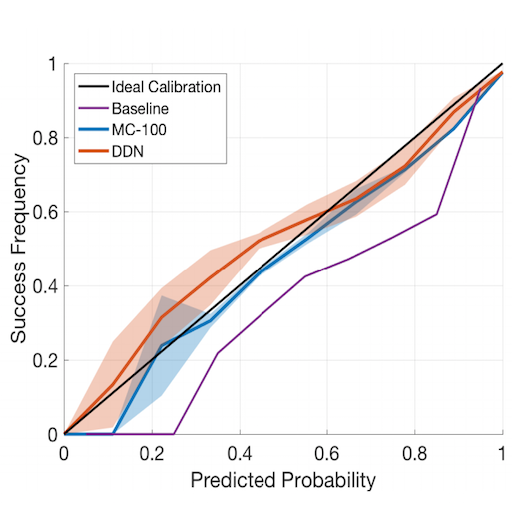 An efficient way to output better calibrated uncertainty scores from neural networks. These Distilled Dropout Network makes standard (non-Bayesian) neural networks more introspective by adding a new training loss. 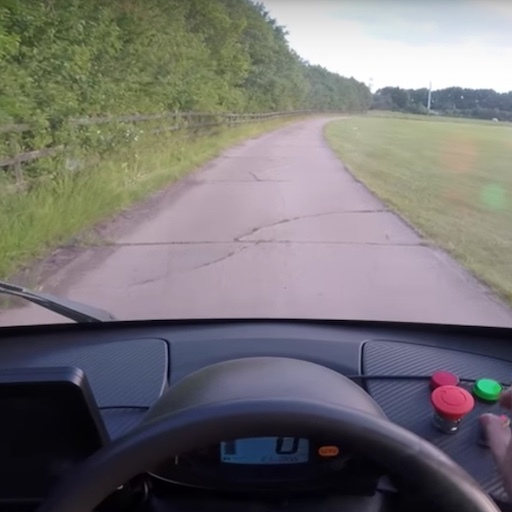 This work demonstrates model-free deep reinforcement learning on an autonomous car in the real world. With a handful of exploration and optimisation steps performed on the single onboard NVIDIA DRIVE PX2, our model-free algorithm learnt to follow its lane without any prior map. 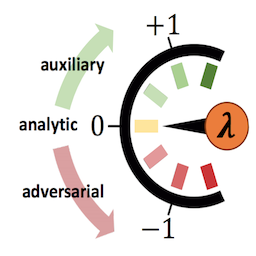 This work unifies auxiliary tasks, adversarial information removal and side tasks analysis with a single multi-task learning framework we call neural stethoscopes. Neural stethoscopes are then used to interrogate specific visual cues a network learns in the context of intuitive physics. Furthermore, we are able to actively de-bias network predictions as well as enhance performance via suitable auxiliary and adversarial stethoscope losses. This work presents a method for learning a feature embedding where the cosine similarity is effectively optimised through a simple re-parametrization of the conventional softmax classification regime. 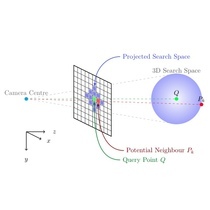 At test time, the final classification layer can be stripped of the Network, facilitating nearest neighbour queries on unseen individuals using the cosine similarity metric. Continuous appearance shifts such as changes in weather and lighting conditions can impact the performance of deployed machine learning models. 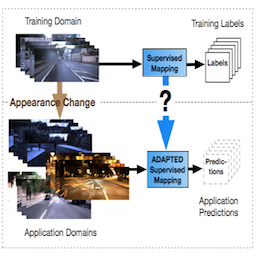 Unsupervised domain adaptation aims to address this challenge, though current approaches do not utilise the continuity of the occurring shifts. 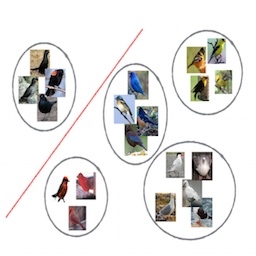 This work presents an adversarial approach for lifelong, incremental domain adaptation which benefits from unsupervised alignment to a series of sub-domains which successively diverge from the labelled source domain. Dense reconstructions often contain errors that prior work has so far minimised using high quality sensors and regularising the output. Nevertheless, errors still persist. This paper proposes a machine learning technique to identify errors in three dimensional (3D) meshes. Beyond simply identifying errors, our method quantifies both the magnitude and the direction of depth estimate errors when viewing the scene. Inspired by how the human visual cortex employs spatial attention and separate â€œwhereâ€ and â€œwhatâ€ processing pathways to actively suppress irrelevant visual features, this work develops a hierarchical attentive recurrent model for single object tracking in videos. Building on the success of the SORT tracking framework, this work extends the location based tracker with appearance based association optimised via metric learning on a deep neural network. Appearance changes due to weather and seasonal conditions represent a strong impediment to the robust implementation of machine learning systems in outdoor robotics. 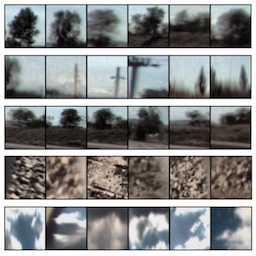 This work develops a framework for applying adversarial techniques to adapt popular, state-of-the-art network architectures with the additional objective to be invariant across conditions. 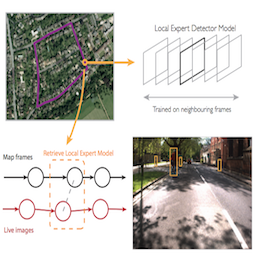 This paper is about enabling robots to improve their perceptual performance through repeated use in their operating environment, creating local expert detectors fitted to the places through which a robot moves. My PhD thesis in the format of thesis-by-publication composed mainly from papers competed between 2013-2016. Submitted late 2016, accepted 2017 and finally published publically in 2018. This work presents a fast, yet simple, technique for updating trajectory estimates within an online multiple object tracking framework. Furthermore, the impact of detection quality on tracking is highlighted by achieving stat-of-the-art performance on a recent tracking benchmark. 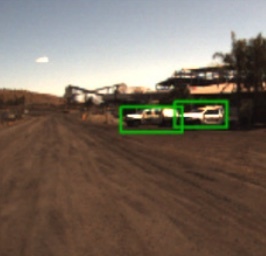 This work investigates the use of appearance based object detection in an open pit mine. 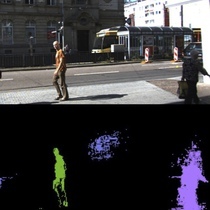 Various forms of background modelling techniques are explored for adapting a pretrained detector to the novel environment. 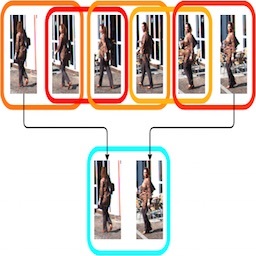 This paper presents a self-supervised approach for learning to associate object detections in a video sequence as often required in tracking-by-detection systems. A novel deep convolutional neural network (DCNN) architecture is proposed for fine-grained image classification. This architecture, called MixDCNN, combines the output of several DCNNs within a mixture model framework and is shown to outperform other methods. 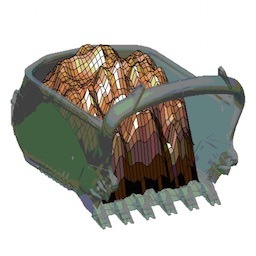 A background modeling approach to reducing the false positive rate of a pre-trained object detector for use in an open-pit mining environment. This paper presents a novel method to improve fine-grained classification based on hierarchical subset learning. First a similarity tree is formed where classes with strong visual correlations are grouped into subsets. An expert local classifier with strong discriminative power to distinguish visually similar classes is then learnt for each subset. 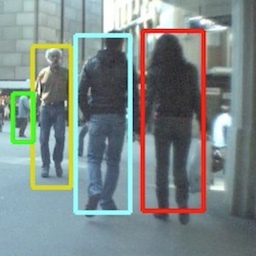 A training free method for detecting and tracking moving objects is presented and evaluated with video footage from a moving camera. A simple, yet efficient method for finding nearest neighbours in projected 3D point clouds is presented with applications towards object segmentation. This paper details the implementation and trialling of a prototype in-bucket bulk density monitor on a production dragline. 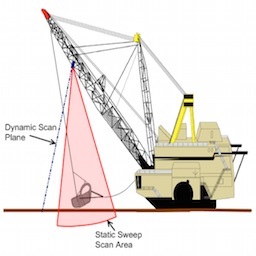 This paper presents a method for measuring the in-bucket payload volume on a dragline excavator for the purpose of estimating material bulk density in real-time.